On January 9, 2014, Birka-White Law Offices filed a class action lawsuit against BP Solar International, Inc. and Home Depot U.S.A., Inc. on behalf of persons who own properties in California with defective BP solar panels. The lawsuit alleges that certain BP solar panels manufactured between 1999 and 2007 are defective due to a known junction box failure. 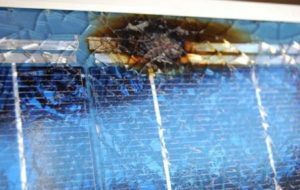 The solar panels cannot be repaired and must be removed and/or replaced. The case was removed to the U.S. District Court, Northern District of California, and is currently pending before the Honorable Susan Illston as Case No. 3:14-cv-00560-SI. On December 22, 2016, Judge Illston granted final approval of a $67 million class action settlement. For more information and to submit a claim, please visit www.bpsolarsettlement.com. On June 21, 2013, Birka-White Law Offices filed a class action lawsuit against Defendants Wuxi Suntech Power Co., Ltd., Suntech America, Inc., Burlingame Industries, Inc. (d/b/a Eagle Solar), and Applied Solar, LLC on behalf of persons who own properties in California with certain building integrated photovoltaic (“BIPV”) solar tiles manufactured and sold as “SolarSave” and “SolarBlend” 34 Watt solar panels. A second amended complaint was filed on November 22, 2013, adding Defendant ASI Liquidating Co., Inc. f/k/a Applied Solar Inc. (successor entity to Open Energy Corporation). 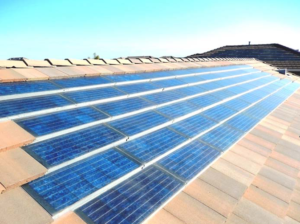 The class-action lawsuit alleged that the 34 Watt “SolarSave” and “SolarBlend” roofing tiles are defective and must be removed and/or replaced. A Fairness Hearing was held on December 11, 2015 before Hon. Barry Goode and a Final Order and Judgment has been entered. 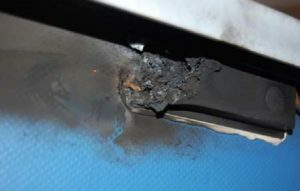 For more information on the settlement and to file a claim, please visit: www.solarpanelsettlement.com. On August 9, 2012, Birka-White Law Offices filed a nationwide class action lawsuit against Flushmate, a division of Sloan Valve Company and American Standard Brands on behalf of owners of toilets containing the Series 503 Flushmate III Pressure-Assisted flushing system. On August 23, 2012, Birka-White Law Offices filed a nationwide class action lawsuit against Flushmate, a division of Sloan Valve Company and Kohler, Inc. on behalf of owners of toilets containing the Series 503 Flushmate III Pressure-Assisted flushing system. On September 12, 2012, Birka-White Law Offices filed a nationwide class action lawsuit against Flushmate, a division of Sloan Valve Company and Gerber Plumbing Fixtures, LLC on behalf of owners of toilets containing the Series 503 Flushmate III Pressure-Assisted flushing system. On October 5, 2012, the three Flushmate lawsuits were consolidated in the Central District of California where the first-filed class action lawsuit originated. An amended complaint was filed on February 7, 2013. 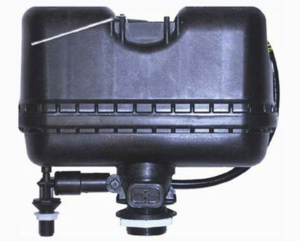 On August 25, 2014, the Honorable S. James Otero granted final approval of the Flushmate class action settlement. For additional information or to file a claim, please visit www.flushmateclaims.com. 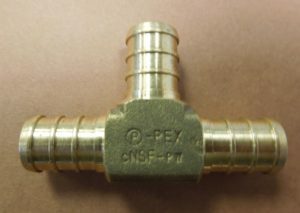 On January 24, 2011, Birka-White Law Offices filed a class action lawsuit against Uponor, Inc. (“Uponor”) and Radiant Technology, Inc. (“RTI”) on behalf of persons who own properties where an Uponor or RTI cross-linked polyethylene (“PEX”) plumbing system with defective high zinc content brass insert fittings sold by Uponor and/or RTI is and/or was installed. An amended complaint was filed on April 8, 2011. Related cases were filed in Minnesota which were consolidated before Judge Ann D. Montgomery of the United States District Court for the District of Minnesota, and known as In Re: Uponor, Inc., F1807 Plumbing Fittings Products Liability Litigation, MDL No. 2247. On June 26, 2012, the Court granted final approval of a class action settlement. An appeal was filed and subsequently resolved. For more information about the settlement, please visit www.rtisettlement.com. The Birka-White Law Offices prosecuted a case against the City and County of San Francisco for ground contamination near the old “Geneva” bus maintenance yard, known as Paras v. City and County of San Francisco, Superior Court of San Francisco, Case No. CGC-08-473476. 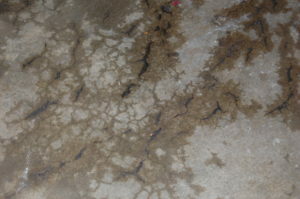 Some of the 22 properties experienced an oil-like substance percolating through their garage and basement floors. Testing revealed the chemicals to be oil based materials and also ethylene glycol (found in anti-freeze). These chemicals are directly associated with bus maintenance. The San Francisco street car maintenance facility is directly uphill and a short distance from the properties. Claims were filed against the City of San Francisco and the homeowners settled their individual claims with the City of San Francisco in February 2011. This story was covered by Tom Vacar, Consumer Editor, KTVU Channel 2 at the 6:00 and 10:00 news on September 19, 2007. NBC Channel 11 also covered this story on September 21, 2007. On June 4, 2010, the United States District Court, Eastern District of California, granted preliminary approval in this case which was prosecuted in both State and Federal Court. In Cartwright v. Viking Industries, Inc., Case No. 2:07-cv-2159, the case involved aluminum windows manufactured by Viking Industries, Inc. (purchased by Pella Corporation in 1998). The Cartwright case was certified as a litigation class on April 10, 2009 by Judge Frank C. Damrell, Jr. Birka-White Law Offices jointly prosecuted the case with co-lead counsel Lieff Cabraser Heinmann & Bernstein of San Francisco, California. 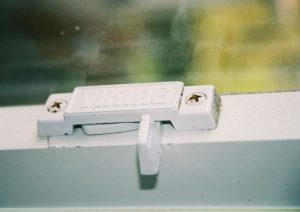 The case was brought on behalf of thousands of California residents who received Viking windows manufactured from the mid-1980s through the 1990s. 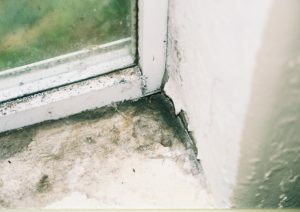 The windows are alleged to be defectively designed and allow water intrusion into the building in which they are installed. The hearing on Final Approval was held August 27, 2010. The deadline to submit a claim has expired. Plaintiff litigation firm dedicated to the protection of individual rights.